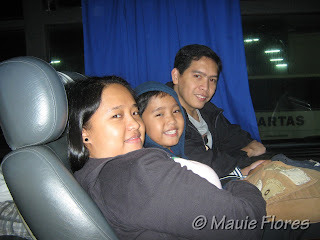 I have seen the signage of the St. Pio Center so many times on our trips to Quezon City via C-5. 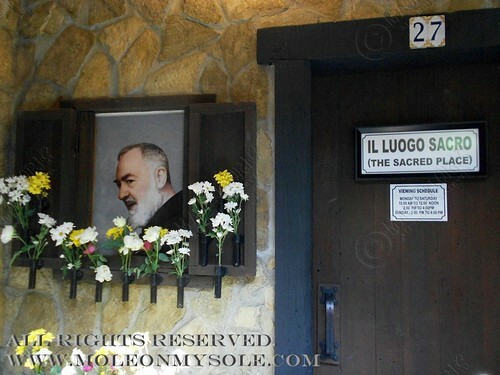 I often tell the boys that we need to visit the place and at least hear Mass at St. Pio Chapel one Sunday. 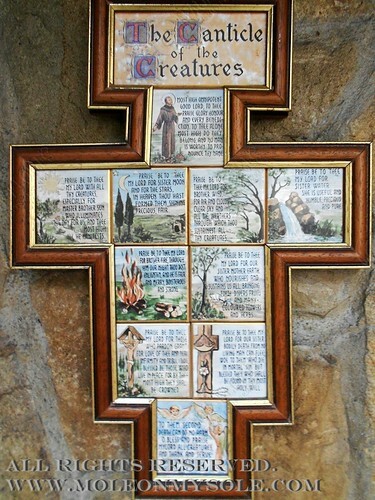 After all, Rap's Franciscan Catholic school is run by the Order of Friars Minor Capuchin, of which Padre Pio was part of. 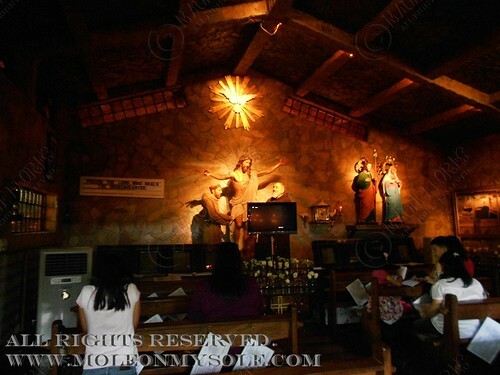 Church goers wearing sleeveless shirts and short pants are given sarongs like in Baclayon Church in Bohol. Last Sunday turned out to be a special day of prayer for me as the Gospel was about Jesus' ministry of healing. Honestly, I was there to pray for healing not only for myself but for my parents, as well. We made it in time for the 12:15 p.m. Sunday Mass and were fortunate that the anointing of holy oil was scheduled after the Mass. After the being anointed with holy oil, we fell in line by the side of the altar to pray to the image of St. Pio and personally write and drop our petitions into the petitions box. 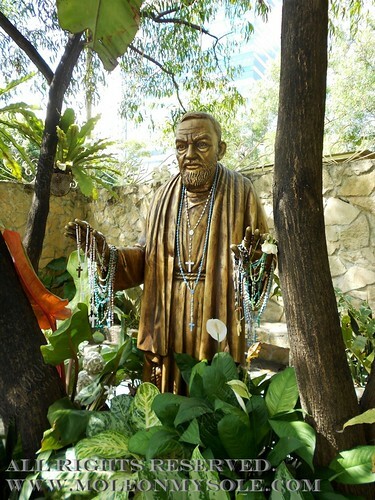 There have already been many people from around the world whose prayers have been answered by Padre Pio. 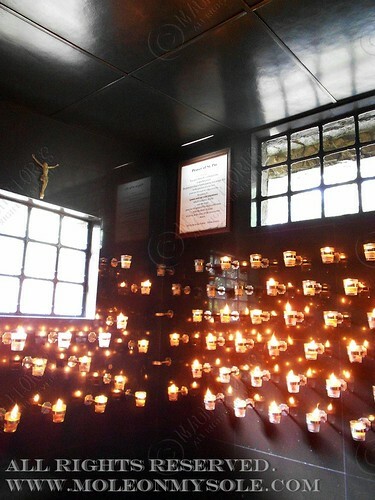 In fact, their testimonies are placed on picture frames and hung on the walls inside the chapel. Then, we went outside St. Pio Chapel and discovered more areas for prayer and meditation. The Rev. Fr. Alessio Parente Patio is located behind the chapel. 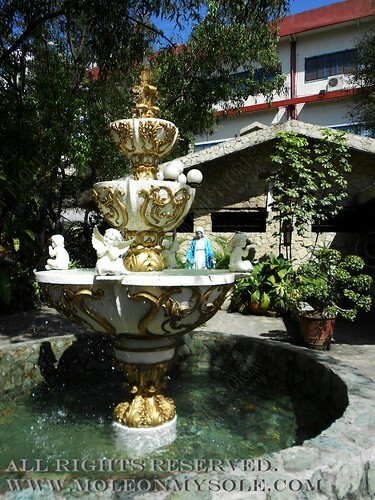 It's a beautiful garden and, at the same time, a place where visitors can light candles and pray to Padre Pio. 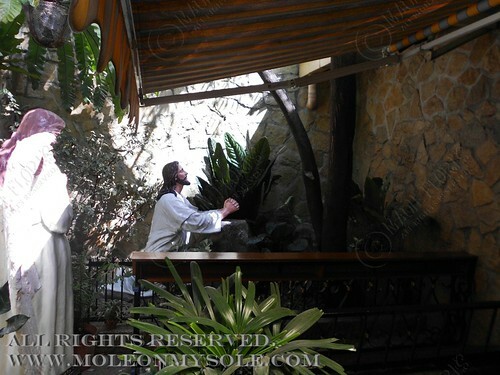 There are actually numerous pocket gardens within the property like this area where the image of Jesus praying in the Garden of Gethsemane is located. 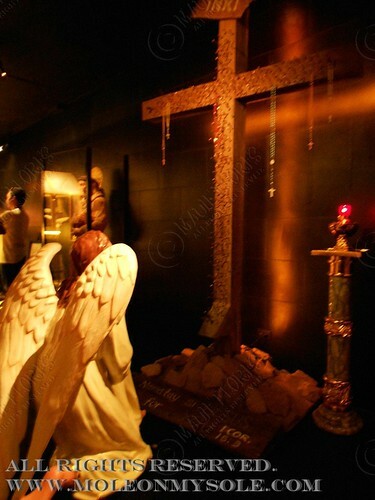 In Il Luogo Sacro (The Sacred Place), life-size images of Padre Pio, St. Francis of Assissi, Jesus, and the angels are located. It's a very quiet place which is perfect for meditation although there aren't pews inside this area. 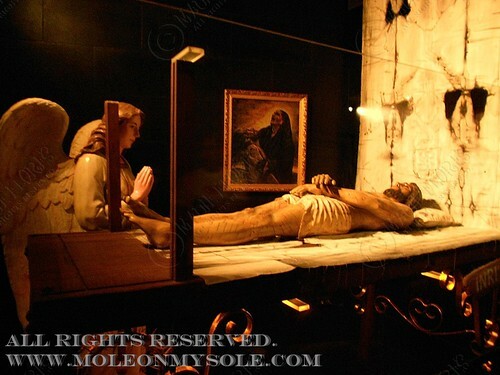 I just noticed that there were old rosaries hanging on the big cross inside Il Luogo Sacro and the statue of Padre Pio in the patio. I'm not sure if those were placed there so visitors who don't have rosaries can use them while praying or if it represents the number of people whose prayers have been answered after praying here. 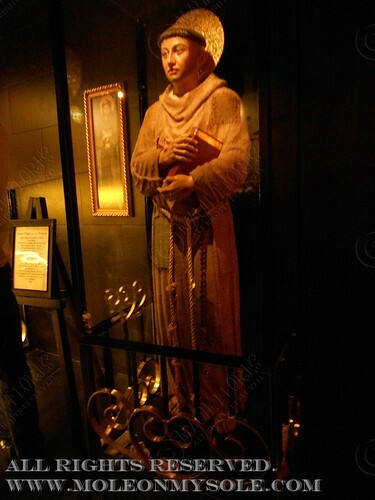 More formally known as The Philippine Centre for St. Pio of Pietrelcina, St. Pio Center was built to promote religious devotion to St. Pio. 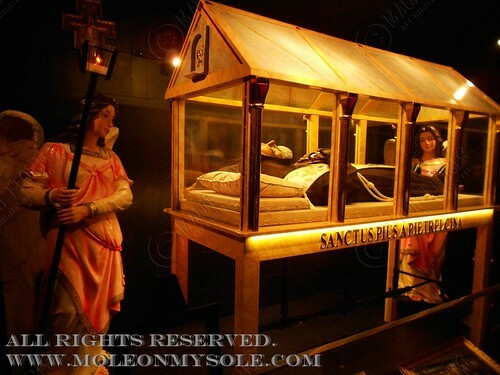 The place houses a number of relics of Padre Pio and these are venerated after Masses and novena prayers in the St. Pio Chapel. 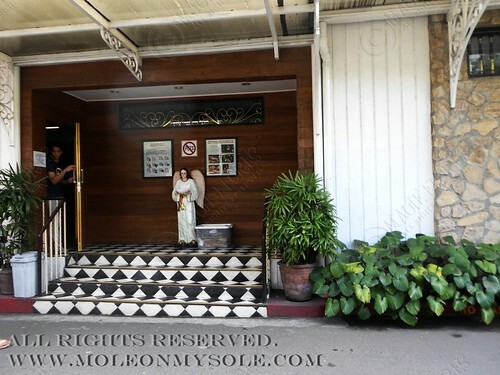 The center is located in the RER compound which is owned by Mr. Ramon E. Rodriguez who took in 6 Italian Capuchin priests who visited Manila in 1980. 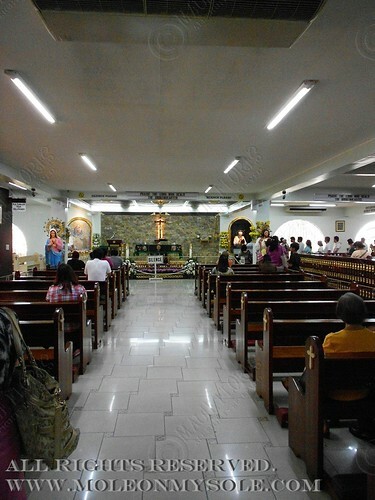 From having a small chapel in a small office space in the compound, St. Pio Center's St. Pio Chapel can now fit up to 500 church-goers at one time. The Calandra Room inside the chapel is an enclosed rooms where families with small children can sit during the Holy Mass. 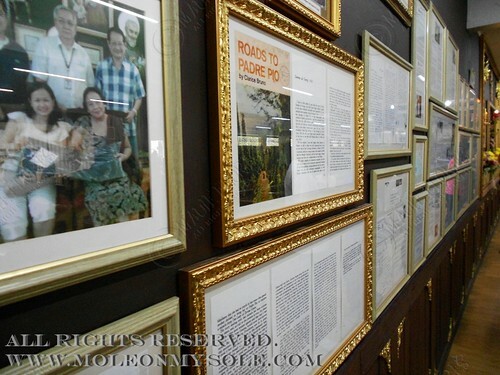 To know more about St. Pio Center, you can visit their site by clicking HERE. 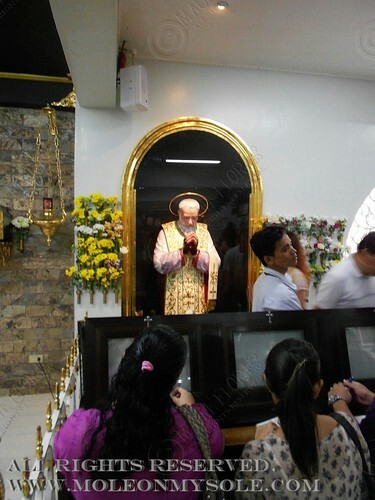 You can also find the schedule of Masses and Novenas in the site. From Makati and Ortigas Avenue, just take C5 Road and drive towards the direction of Eastwood City. You will then see the entrance to the compound beside the Petron gasoline station after the Honda showroom, Calle Industria, and Nuvo City (coming from the intersection of C-5 and Ortigas Avenue). From Cubao/Katipunan, take C5 Road towards the intersection at Ortigas Ave. and make a U-turn at the slot in front of Frontera Verde/Tiendesitas. 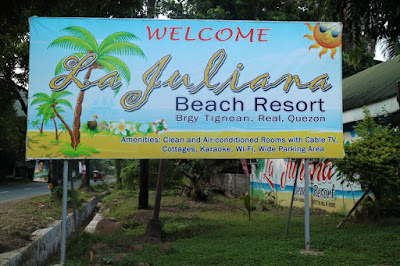 Then, just drive towards Petron. The place has a huge pay parking space. Take the Rosario-Ever jeepney from Ali Mall in Cubao, Araneta Center and get off at CitiBank, Eastwood City. You'll have to cross the footbridge after and walk a few meters to Petron.